When I was 15, I was diagnosed with Acute Lymphoblastic Leukemia. People at the hospital tried and tried to get me to go to camp but I never would because I didn’t know anyone. I finally went to Jr/Sr weekend right before my senior year and I had so much fun! I was then invited to go to Boston with Smile-A-Mile which lead me to meet some of my best friends. Smile-A-Mile has made such an impact on me that for weeks after camp it’s all I talk about. 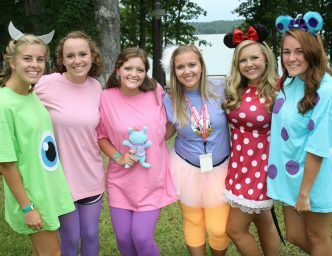 From having the BEST counselors, the best friends, and Oreo surprise at almost every meal, going to camp is a must! I cannot wait to continue with Young Adult Retreat! I love you, Smile-A-Mile!